This workshop will investigate the design and use of technology for the zoo, bringing together technology researchers, zoo professionals and specialists in animal welfare and behaviour. 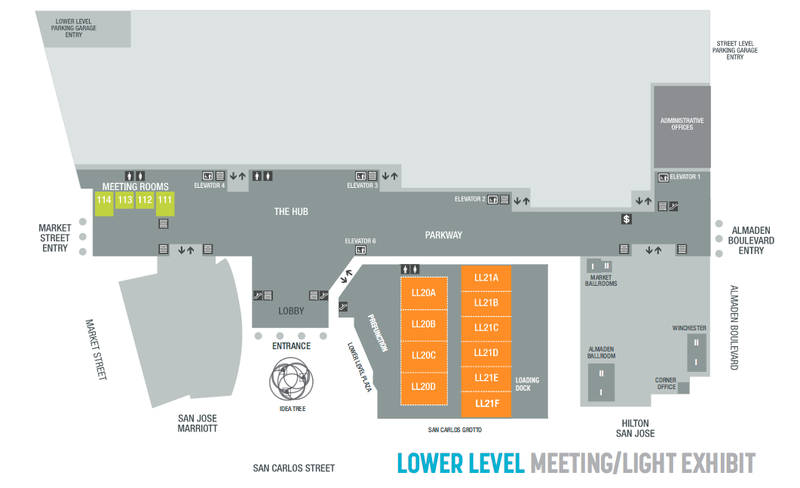 The workshop will be held as part of CHI 2016 at the San Jose McEnery Convention Centre (Room LL21D) [Floor Plan] on Saturday 7 May 2016. Attendees are also invited to join an optional visit to San Francisco zoo on 6 May 2016. A total of 13 papers have been accepted for presentation; these cover a broad range of topics, promising a broad-ranging and highly stimulating discussion. Papers presented at the workshop: Download PDF of all papers. 10am-4pm: Visit San Francisco Zoo, 1 Zoo Road, San Francisco, CA 94132. The trip will enable us to explore how technology is being integrated into the zoo’s existing activities, with regard to both animal welfare and visitor experience. This will generate material for identifying challenges and domains relevant to the topic of the workshop. Attendees are encouraged to document the visit through notes, photos and videos, so that this can benefit participants unable to join the trip. Dr Hannah Buchanan-Smith (University of Stirling, UK) has expertise in primate behaviour and welfare, with a strong focus on digital tasks and enrichment. Her research has focused on non-human primates in three inter-related scientific areas: behaviour and ecology, colour vision and welfare. Hannah holds positions on the Science Advisory Committee of The Royal Zoological Society of Scotland; Primate Society of Great Britain's Captive Care Working Party; Ethics Committee, Blair Drummond Safari Park; and research groups of the British and Irish Association of Zoos and Aquariums (BIAZA). Dr Cheryl Meehan (University of California, Davis, US) interests lie in understanding and enhancing the welfare of zoo animals. This has been the motivating force in her academic and professional pursuits for the past fifteen years. She combines this interest with skills in applied research and education in her role as director of AWARE Institute. Cheryl is author of peer-reviewed papers on stereotypic behavior, environmental enrichment, and social management of animals, among others. She served as the consulting project manager for the Using Science to Understand Zoo Elephant Welfare project. * Unfortunately we are not able to provide refreshments. Zoos and other conservation organizations are increasingly exploring the application of interactive technologies to transform attitudes, behaviors and public policy related to conservation and sustainability; to support animal welfare and enrichment; and to provide novel experiences for visitors. Despite this, HCI research in this context has been limited. Early work has highlighted the challenge of designing systems that do not detract from the existing aims of the zoo experience. While zoos are similar to other informal learning institutions such as museums, the setting of the zoo as an outdoor, naturalistic space, the presence of animals and their relationship with human visitors, the forms of social interaction and patterns of technology use amongst groups of zoo visitors differentiate this context substantially necessitating this workshop to draw together inter-disciplinary experts to advance this field of work. Consequently we invite HCI researchers, animal welfare and behavioral scientists and Zoo industry professionals to attend a 1 day workshop at CHI 2016 on the topic of Technology in the Zoo. Through this workshop, we aim to bring together those investigating the design of technology for zoos and wildlife-based experiences. Through discussing and interrogating real case-studies of technology in zoo, this workshop will clearly identify and disseminate the key challenges and questions that a program of HCI research can answer. Participants will be invited join in an optional group tour of San Francisco Zoo on Friday 6 May, the day before the workshop. The trip will provide opportunities to discus and explore how technology is being integrated into the Zoo’s programs and activities. or existing problems that have the potential to be solved by technology interventions. Papers will be selected for presentation at the workshop on the basis of interdisciplinary breadth, project maturity and to reflect the variety of opportunities for technology at the zoo. in the SIGCHI Extended Abstracts format: http://chi2016.acm.org/wp/guide-to-submission-formatsAccepted papers will need to be finalized and submitted by 12 February 2016. Those not affiliated with a paper presentation but interested in attending should submit a short bio (200 words) identifying their interest and background relevant to the workshop topic. We aim to ensure interdisciplinarity in the workshop discussions. using the ‘Abstract’ submission field (no file needs to be submitted). At least one author of each accepted paper must attend the workshop. All participants must register for both the workshop and for at least one day of the conference. You will need an access code to register for the workshop: this will be provided by email as part of your notification of acceptance. Sarah Webber is a PhD candidate at the Microsoft Research Centre for Social Natural User Interfaces at the University of Melbourne. Her PhD research examines the use, design and evaluation of digital technology for animal-human encounters at the zoo. She has a professional and academic background in interaction design, user research and user-oriented technology evaluation. Marcus Carter is a research fellow at the Microsoft Research Centre for Social Natural User Interfaces (NUI), leading a program of research into how technology can support the conservational and educational aims of zoos, such as by providing primates control over their environment through animal interfaces and the use of machine learning to monitor and support captive animal welfare. Sally Sherwen is the animal welfare specialist at Zoos Victoria and a researcher at the University of Melbourne’s Animal Welfare Science Centre. Her particular area of expertise is around human-animal relationships in zoos. Jason Watters is the Vice President of Wellness and Animal Behavior at San Francisco Zoo. There, he leads a research program aimed at studying and applying techniques to ensure that animals thrive. He received his Ph.D in animal behavior from University of California, Davis, where he also performed post-doctoral studies. Watters has fashioned a ³non-traditional² research career in the zoo and aquarium world. He has studied numerous species and the foci of his work are animal personalities, behavioral indicators of welfare, a general theory of environmental enrichment and what makes animals good teachers. Dr. Watters serves on the Research and Technology Committee of the Association of Zoos and Aquariums and is also the executive editor of the journal Zoo Biology. Bethany Krebs is the Behavioral Wellness Research Coordinator at the San Francisco Zoo. As part the Behavioral Wellness research team, she designs, builds, and studies the impact of novel enrichments. She recently spearheaded a successful crowdfunding campaign to build new high-tech puzzle feeders for the zoo's rhinos. Krebs received her Ph.D. from the University of Illinois studying behavioral ecology. A relative newcomer to the world of animal enrichment, her interests include using technology to improve animal well-being and the role of zoos in promoting scientific literacy in the general public. Clara Mancini is a senior lecturer in Multispecies Interaction Design at The Open University and head of the Animal-Computer Interaction Lab, investigating animal-technology interactions ‘in the wild’, designing technology to support animals in different contexts and developing user-centered approaches to design technology for and with animals. Fiona French is a senior lecturer in the Faculty of Life Sciences and Computing at London Metropolitan University. She is course leader for BSc Computer Games Programming and her research interests include Animal Computer Interaction, physical computing, toy and game development. Fiona is currently investigating the design of interactive toys for elephants. Kenton O’Hara is a Social Scientist at Microsoft Research, Cambridge and a Visiting Professor in the Interaction and Graphics Group at the University of Bristol. His work explores everyday social practices and experiences with mobile and ubiquitous technology. In particular he has worked with the BBC and the Zoological Society of London to develop and understand technology mediated visitor experiences at the zoo. More recently he has worked with ecologists and computer scientists to understand the scientific practices of Species Distribution Modeling and conservation.